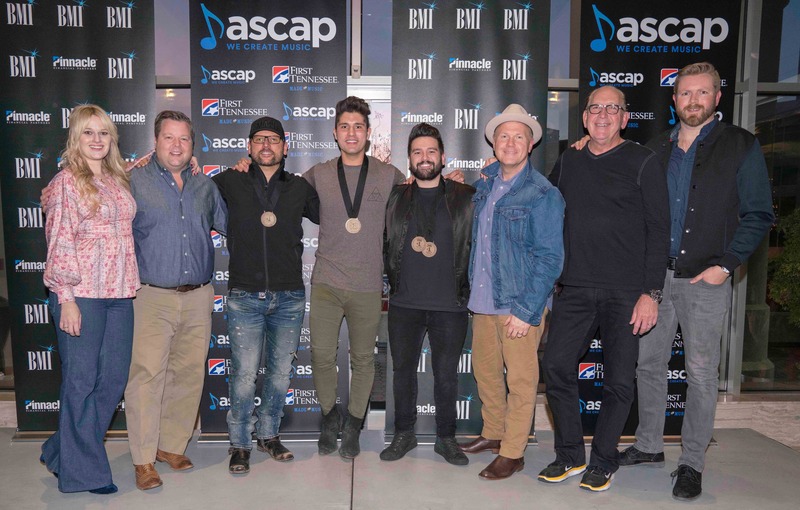 On Tuesday (Jan. 30), Dan + Shay celebrated their two singles, “From The Ground Up” and “How Not To” that went to No. 1 on the country radio charts. “From The Ground Up” was written by Shay Mooney, Dan Smyers, and Chris DeStefano, and is DeStefano’s 14th No. 1. “How Not To” was written by Kevin Bard, Paul DiGiovanni, and Adam Hambrick and marks their No. 1 debut. Both singles were produced by Scott Hendricks. Brinker honored Bard, DiGiovanni and Hambrick on their first No. 1, gifting them with an ASCAP Yeti cooler. BMI’s Bradley Collins gave a nod to Hendricks for his 68th and 69th No. 1 songs, and Mooney’s third No. 1. BJ Hill and Warner Chappell made a donation to Pencils of Promise. “From The Ground Up” hit No. 1 in August 2016 and “How Not To” in June 2017. Both songs have a combined 215 million streams and 2.8 billion radio impressions. Sony/ATV’s Troy Tomlinson honored the songwriters with plaques. Jeremy Stover from Red Creative congratulated Hambrick and Dan + Shay, while John Ozier from ole awarded them iPads. Kent Earls of UMPG also offered trophies while Brandi Simms of the Country Music Association, offered No. 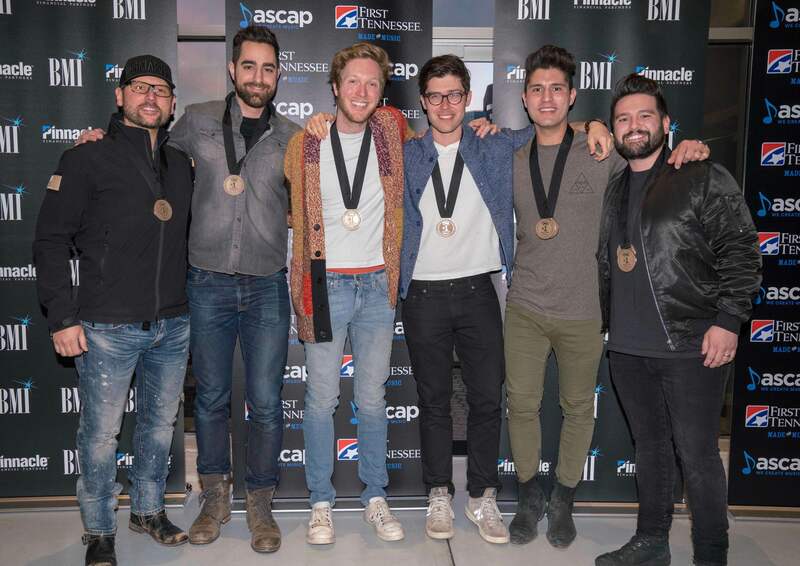 1 medallions for the country radio success. In addition to honoring their No. 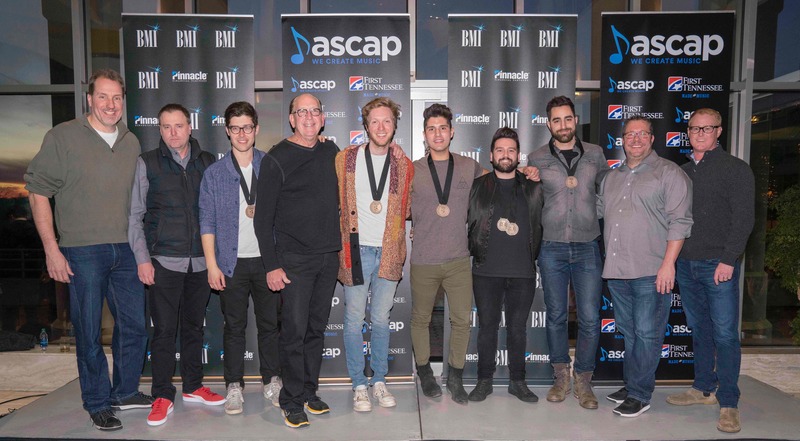 1s, John Esposito of Warner Music Nashville surprised Dan + Shay with a RIAA Gold record for their album, Where It All Began. Brinker closed the event with thanks to the teams, songwriters, friends and family, and First Tennessee Bank for their support.